Miscalculated quotas can derail even the best-designed sales compensation program. But setting quotas isn’t just about the numbers. It’s also about understanding your people, facilitating goals, and inspiring teamwork. Join SalesGlobe Managing Partner Mark Donnolo to hear about the latest best practices on aligning top-down revenue targets with bottom-up sales quotas. How do you balance historical performance with actual market opportunity? Are individual quotas at odds with teamwork and collaboration? Do sales quotas penalize your best reps? Mark Donnolo consults with leading companies on sales innovation, strategy, team coaching, training, and compensation. He is the author of The Innovative Sale and What Your CEO Needs to Know About Sales Compensation. With more than 20-years of experience in the technology sector, Kevin Gray specializes in data-driven sales planning. He has written articles and white papers on sales performance management and incentive compensation. There is only one way to learn best-in-class sales and marketing techniques, explore leading technology and system integration partners, and network with industry thought leaders and experts – that’s free of charge and in VIP style! 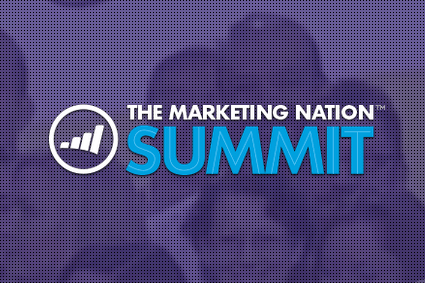 Without question, the Marketo Marketing Nation Summit 2015 will be the Marketing Event of the year. Join the Marketing Nation as over 6000 of your peers, colleagues and thought leaders gather to celebrate Innovation in the Nation. Located at Moscone Center – West, in the heart of San Francisco’s Financial District, the Marketo Marketing Nation Summit 2015 will provide an engaging experience to grow your expertise and network with peers over two and a half days. Connect with ideas, marketers, and resources to help YOU achieve success faster! Moscone Center – West is a visually stunning and expansive three-level exhibition hall, conveniently located near fine dining, shopping, museums and more. As the heart-center of the Marketo Marketing Nation Summit 2015, Moscone Center – West will be buzzing with life and will serve as a vibrant backdrop where connections will be made over two and a half days. The Marketo Marketing Nation Summit 2015 will deliver dynamic and rich content along with key takeaways that will prove to be an incredible investment to your business. Learn how to implement and use the latest features and see what’s on the future horizon at Marketo. Develop deeper relationships with your contacts and marketing experts by gaining mastery over innovating lead generation, campaign management, social media strategies and analytics. Learn during the day, relax network and socialize in the evening! Registration opens Monday, April 13th followed by our Marketing Nation Kickoff Party. On Tuesday, April 14th, join us for Happy Hour in the Marketing Nation Expo before being shuttled to our Customer Appreciation Party! We have an incredible night planned, so stay tuned for more information. Can I register in person at the event? We recommend arriving early to provide ample registration time. Onsite registration is $1,695 and we will only accept Credit Cards onsite. Yes, simply send an email to SummitRegSupport@Marketo.com with a list of names from your company and you will receive a code for each of those registrants. Please note: The discount will apply to whatever the current rate is. Do you offer a Nonprofit (NPO) Rate? Yes. Simply email SummitRegSupport@Marketo.com with the name of your organization and nonprofit tax ID number and we will provide you with a $300 off code. Will Marketo close registration at any point? Online registration will close on April 6, 2015 at 11:59 p.m. PST. Registration will reopen on-site at Moscone on April 13, 2015 and will close on Wednesday, April 15, 2015 at 6:00 p.m., PST. What is included in a Full Pass registration fee? Access to the Marketo Marketing Nation Summit 2015 includes keynote sessions as well as customer success tracks, receptions and the Tuesday night Gala. The program begins at 5:00 p.m. on April 13 and will end at 5:00 p.m. on April 15. Registration fee includes admission, food and beverage during the daytime sessions and access to the Social Networking Parties. All travel costs including air and hotel accommodations are the responsibility of the attendee. Marketo has secured a block of rooms at a discounted rate of $289 single/double at the Marriott Marquis San Francisco, the host hotel. Is there an additional charge to attend Summit University Day? How is my registration confirmed? After completing registration, you will receive a confirmation email with your registration information and your invoice attached. What forms of payment do you accept for the conference fee? Visa, MasterCard, American Express, wire transfer and company checks are all accepted. If I can’t attend, can I substitute my registration? Yes. If you are unable to attend, you may substitute one colleague’s name per registration. All substitutions must be received in writing prior to Friday, February 27, 2015 and will incur a fee of $50. After this date, all substitutions are subject to a $100.00 (USD) processing fee. No substitutions will be made after 5pm on Monday, April 6th or onsite. Registration cancellations received in writing by 5:00 PM (Pacific Standard Time) prior to Friday, February 20, 2015, will be refunded, less a $150.00 (USD) processing fee. There will be no refunds for cancellations received after 5:00 PM (Pacific Standard Time) on Friday, February 20, 2015. Please send any information regarding cancellations via email to SummitRegSupport@Marketo.com. Is transportation being provided from the Marriott Marquis San Francisco to Moscone Center – West? No. The convention center is conveniently located one block from the hotel. What are the driving directions to Moscone Center – West? Driving directions to Moscone Center – West can be accessed here. Where can I park around the Moscone Center – West? Self-Parking is available near Moscone Center – West. You are responsible for any charges associated with parking. Below is a list of garages in close proximity. The host hotel for the Marketo Marketing Nation Summit 2015 is the Marriott Marquis San Francisco. Located in the heart of central San Francisco, the Marriott Marquis San Francisco is a business-friendly hotel within walking distance of Moscone Center, Union Square, and other top attractions. This 4-diamond property provides all that you may need for business or pleasure with its great location and amenities. A block of rooms have been reserved for the Marketo Marketing Nation Summit 2015. Below is a list of rates and a link to make your reservation. San Francisco International Airport (SFO) is 13.8 miles from the Marriott Marquis San Francisco. Oakland International Airport (OAK) is 20 miles from the Marriott Marquis San Francisco. If you plan to drive, or travel by taxi, you can anticipate a 35-45 minute travel time from either airport. The Marriott Marquis San Francisco is easily accessible from either airport via public transportation. Taxis are readily available and the Bay Area’s train, BART (www.bart.gov) can take you from either airport to within one block from the Marriott Marquis San Francisco. For more information about public transportation, please visit www.511.org. Where can I park around the hotel? for $62.28/day. The closest alternate option in the area is the 4th & Mission Parking Garage, $34 for 24 hours. *Note prices are subject to change. The weather in San Francisco is somewhat unpredictable, however the average high during the April time frame is 63°F and the average low is 50°F. It is recommended to be prepared with a light sweater, raincoat or light jacket and umbrella. Business casual attire is appropriate for all functions related to the Marketo Marketing Nation Summit 2015. A jacket or sweater is recommended for air-conditioned rooms within the convention center as well. 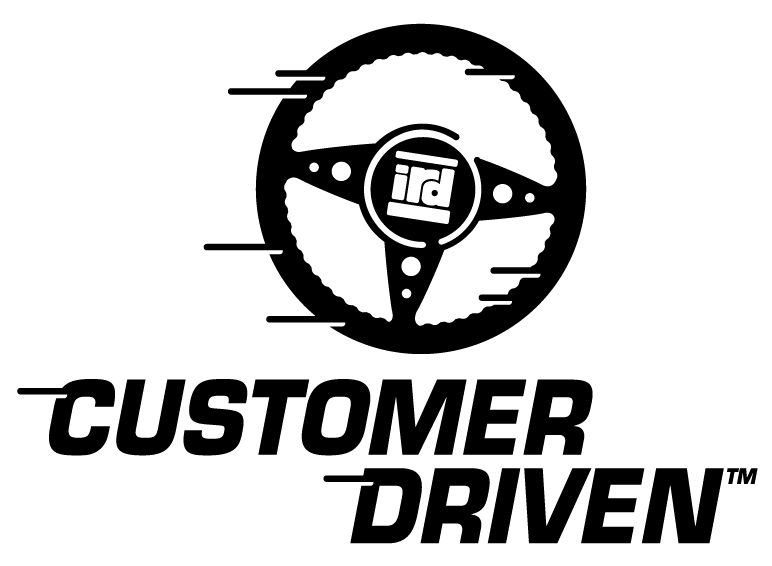 Are You a Customer-Driven Business? nspirational business leader Harvey Mackey said, “No business can stay in business without customers. How you treat – or mistreat – them determines how long your doors stay open.” There has never been a time when this is a more pertinent business lesson than in the 21st century. According a recent white paper from Webby, customers are expecting a higher level of customer service, transparency, and engagement with their brands. Customers don’t just want good service, though. They want to be personally involved with the companies they buy from. According to the recent preview of the Forrester 2014 CXi report, emotional engagement is a more powerful driver for brand interaction and consumer experience than effectiveness or ease of service. This means that, as consumers become more personally engaged in researching and purchasing, it is vital for you to ascertain just how customer-driven your business is. Use this quiz to help you get started. A. How many customers are at the purchasing stage of the sales process. B. How many sales calls have been made to each customer. C. The last time your high-profit customers have been contacted. D. The feedback remarks from your customer service tickets. A. Breaking sales records with few repeat customers. B. Making good leads, but closing few sales. C. Making moderately good sales from a handful of high-producing customers. D. Making good sales and leads from both repeat and new customers. A. Various members of your staff answer promptly, although non-sales related calls are put on hold or dropped. B. A designated staff member answers the phone eventually, although customers sometimes complain about the length they’ve been on hold or times they’ve been transferred. C. Someone from your team always answers the phone within a few rings, although current and former customers are given more attention than other calls. D. Members of your team consistently answer the phone within 3 rings and give equal attention to prospects and callers that may not directly impact your bottom line. A. Teach sales tactics like negotiation, buyer psychology, and closing strategies. B. Focus on selling, but always include an obligatory section on customer service. C. Pair good selling techniques with pro-customer service messages – you have important customers to keep happy. D. Focus on improving sales and service through better customer communication, empathy, and benefit selling. A. Aggressive marketing updates (10-20 per day) highlighting your company’s goods and services. B. Strong marketing updates (5-7 per day), with a few “customer interest” links included (such as famous quotes or retweets of helpful resources). C. Several marketing updates (5-7 per day), with heavy interaction (retweets, direct messages, and conversations) with a few key clients. D. Mostly high-interest resource updates (5-7 per day) with several direct marketing messages (1-2 per day) and a few short conversations with prospects, current clients, and naysayers alike. A. 70% cold calls and new business appointments, 10% managing existing accounts, 10% social selling and CRM activities, 10% customer service calls. B. 40% cold calls and new business appointments, 40% managing existing accounts, 0% social selling and CRM activities, 20% customer service calls. C. 10% cold calls and new business appointments, 60% managing existing accounts, 10% social selling and CRM activities, 20% customer service calls. D. 30% cold calls and new business appointments, 20% managing existing accounts, 20% social selling and CRM activities, 30% customer service calls. A. Your competition had a better price or sales strategy. B. You can’t make everyone happy. People just leave sometimes. C. They weren’t really worth putting a lot of time or energy into. D. The customer no longer needed the service. A. Offer better incentives to your sales team. B. Mark it down. The lower the price, the more you’ll sell. C. Increase the benefit – give extra incentives to the customer to buy. D. Poll your customers and find out what they’re really looking to purchase. A. Making a new customer to replace him or her. B. Apologizing, but not changing any policy or processes. C. Providing additional options and opportunities based on how much the customer is potentially worth in the long run. A. Going over recent sales numbers and honoring high producers. B. Discussing production and business processes. C. How to further sell a handful of high-producing clients. D. Ways that sales, office, and managerial staff can support positive customer relationships. Schlumberger Ltd. (NYSE: SLB) disclosed in its fourth quarter results released on Jan. 15 that it decided to cut 9,000 jobs companywide. The cuts are in “response to lower commodity pricing and anticipated lower exploration and production spending in 2015,” Schlumberger’s press release said. The cuts, which began in the fourth quarter, are expected to be complete sometime later this year, a company spokesman told the Houston Chronicle. Worldwide, the oilfield services giant employs about 120,000 people, so the company is reducing its workforce by 7.5 percent. Schlumberger, which has principal offices in Houston, Paris, London and The Hague, recorded a $296 million charge associated with the job cuts. 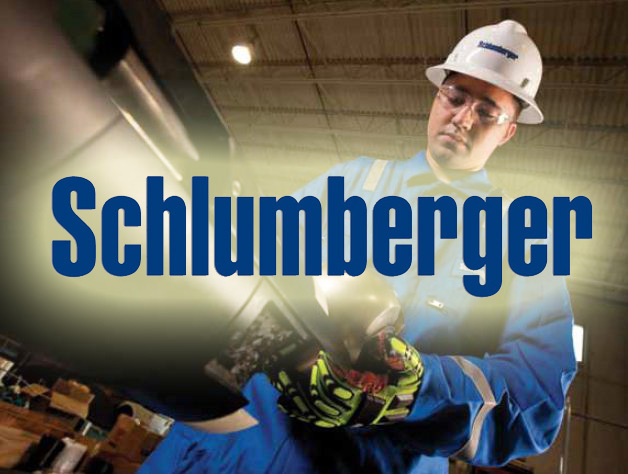 For the full year, Schlumberger’s 2014 revenue increased 7 percent year over year to $48.58 billion. However, net income decreased 19 percent year over year to $5.44 billion for 2014. Diluted earnings per share were down 17 percent to $4.16 for the full year. Several other energy companies have announced job cuts in recent weeks due to falling oil prices. Sign-Up Today and Save $200. new small businesses they cannot meet their goals. What are the opportunities available at these facilities? Our Small Business Federal Contracting Workshop will discuss all these things plus how to get them. You owe it to yourself to act now and secure your seat at the table. Late last year, one small business went from $3 million to $150 million in sales with a single federal contract. See real live examples of how it happened to others. At our workshop, learn what you can do to make it happen to you! You’ve written what you consider to be the perfect advertisement for the job opening at your nonprofit, yet candidates are not busting down the doors to send in their applications. What is the reason? Newsflash: Your job description might not be so perfect after all. The main reason a job seeker decides not to apply for a position is because the opportunity isn’t a good fit. Given that there’s no perfect way to figure out exactly why a candidate didn’t apply for your job, the best thing for you to do is make sure you follow some guidelines when creating your job description. This will ensure that qualified candidates aren’t turning away because your ad wasn’t descriptive enough. Ad is too short: Your ad has to be long enough to provide essential details about the job offer. Good candidates want as much information as possible about the job and the organization that offers it. In addition, an ad that is too short may be viewed as not legitimate. Job titles are not simple enough: Search engines use the job titles as the primary element for keyword search. Your job title should be short and simple. Salary information is not included: Salary and benefits information add to the likelihood of candidates applying for the job. If a specific salary cannot be mentioned, put a range instead. Company logo is not included: A company logo display on the ad will enhance your image and is likely to result in higher response. Company benefits are not included: Insurance, paid-time-off, flexible hours, and other benefits generate applications. One of the top concerns for all entrepreneurs is how to market their product or service. This workshop will provide valuable tips in the areas of social media marketing and low budget, traditional promotion and advertising and overall key strategies to help your company grow. Making Social Media Work for Your Business – You’ve thought about what social networks to use for your business and you’re ready to take the next step. Where do you go from there? Low Budget Marketing Strategies – Marketing your product or service can be very intimidating and down right expensive. Learn how to really understand your customer’s needs and strategies to increase sales, what advertising and promotional avenues are affordable, which ones work better than others and how to choose. This Saturday 01/17/15 from 10:30am to 12pm at The Hampton Inn (near the Galleria) is a FREE business seminar with a once in a lifetime opportunity to make money! Be Proactive Today or Reactive Tomorrow! Like every other SEO / digital agency, we get requests for “link volume numbers” in our proposals on a regular basis. That’s OK, we know how to deal out a decent response to the query, but the queries still come. Today I’m going to talk about why asking for link volumes in an organic campaign isn’t a great idea. I’d like to try to show why it’s a potentially damaging thing to request, and why to a large extent it’s irrelevant to campaign performance. Let’s also look at the metrics or KPIs you should be targeting instead. It’s hard to set expectations of what should and should not be included in the metrics set of an SEO campaign, nevertheless I feel it’s our duty to continue to feed this conversation. Take a look at the top 6 ranking URLs for the keyword “WordPress Hosting” in the UK. I’ve used Moz’s keyword difficulty tool to scrape the ranking results, and URL Profiler to fetch the link data from Majestic. There’s simply not enough of a correlation between link volume alone and rankings for this keyword for a conclusion to be drawn on what drives the ranking result. We all know there’s a great deal more complexity to determining what factors drive search engine rankings (Take a look: Moz Ranking Factors | Searchmetrics Ranking Factors). Domains that look strong at first glance can have hidden issues, and they’re almost always due to what’s lurking deep in their link profiles. When you look at search results that are extremely competitive (“Bingo” in the UK is a good one to watch), you see sites that should be closer to top position. Mecca Bingo, for example, sits at the top of page 2 but has comparable linking root domains to the site in 1st place – foxybingo.com. It’s being outperformed by domains with half of the link volume. This observation should lead to the conclusion that their backlink profile needs some investigation, and probably a comprehensive link removal / disavow. It certainly indicates that there’s much, much more to SEO than link volume acquisition. A long time ago, the only data Internet marketers had to determine the quality of a link were the referrals they received. Obviously this BG (Before Google) period was before my time, but check in with industry veterans like Danny Sullivan and I believe that’s the crux of what link building meant back then. Google’s arrival changed all of that by bringing us a links influenced ranking algorithm. They brought us PageRank, an exponential scale to represent “some approximation of a page’s importance or quality”. As time went on, use of the “Toolbar PageRank” metric from around 2000 or so became more and more popular. It wasn’t always reliable, nor was it updated often. As time passed, lots of tools companies, like Moz, Majestic and later aHrefs attempted to engineer their own quality indicators. Usually named “*rank”, like MozRank. Though each score was a little different, they were all broadly based on similar maths. The scores were based on an Log scale of base 8 (or thereabouts). In essence, this would mean that a link from a page of say, rank 4 would be worth significantly more than a link from a page of rank 3. 8 times more. While PageRank is essentially no longer a publicly accessible score, the tools providers battle on in their pursuit of a correlative score to rankings. Those scores indicate at least some of the potential value of a link. This is important and we’ll get back to that in a moment. As I mentioned, some links are worth more than others. So I could explain this statement a little better, Pete made me this clever interactive chart. Click a point on the chart, then click another point. It’ll tell you how many more times any one value might be “worth” (for want of a better word: this is purely hypothetical) than the other. So, some links are worth more than others. Links on the higher end of whatever scale you choose are clearly valued more highly by link builders. You would need to acquire 262,144 rank 2 links to match the value of our theoretical rank 8 link in this chart! Link building isn’t quite as simple as choosing a page quality score and targeting it. While running an outreach campaign, you’d expect to see minimum tolerances set for quality. For example, a site with a minimum Domain Authority, with a set number of inbound linking root domains (“inbound linking root domain diversity”), for example. You can go quite far into link checking, of course. During outreach, evaluating a potential linking domain has a number of time consuming, critical checks including making sure there’s no history of a penalty or obvious ranking drop, making sure the site doesn’t host paid links or low quality articles. Essentially you’re making sure there’s an authentic set of measurable behaviours that imply a genuine site: lots of social activity, comments, new links, mentions, a genuine audience whose interests are relevant to your brand’s content and so on. This is where “link building” by its classic SEO definition becomes much more aligned to marketing and PR. We’re targeting sites that we know have a relevant audience and if you took search out of the equation entirely, there’d be a benefit to having that link in place. Building lots of links without reasonable minimum standards set will always lead to a link penalty. The resulting process of audit and removal is time consuming and not particularly profitable! We’re lucky to have acquired a diverse range of links, mostly organic through experiments like Messages in the Deep and our guides. Those sorts of links tend to send spikes in traffic and help us gain more diversity in our link profile. This process of correlates well to growth in organic visibility and drives lots of nice referrer traffic. Moz, for example, sends a lot of converting traffic from their recommended agencies page. This is good. A carefully thought out, iterative campaign will always deliver a diverse range of links. If we build and promote our content, provided it has appeal, it will work. Of course “will work” is subjective and should be based on a firm set of outcomes and goals. I’d argue that a properly targeted outreach methodology can provide better and more meaningful levels of performance, and that your assessment should be based on better KPIs: referrals and conversions from the links and by proxy, a gradual but continuous improvement in rankings and organic traffic.